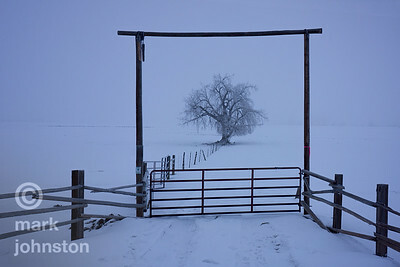 Scenes in and around the town of Lyons, Colorado. 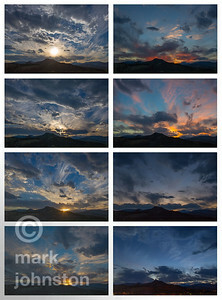 This is a large 8-panel image taken over the course of a late September afternoon, looking over the town of Lyons, Colorado towards the Continental Divide. The flat hill in the foreground is Indian Lookout Mountain, and the peaks on the horizon at right of center are Mt. 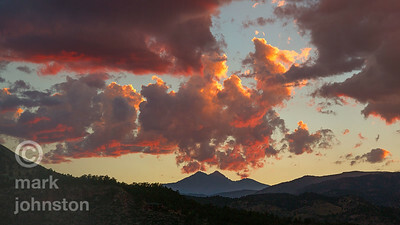 Meeker, Long's Peak [the highest point in Rocky Mountain National Park], and Mt. Lady Washington. 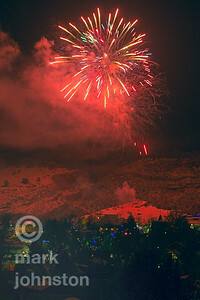 After the annual Christmas parade, there is a brief fireworks display in Lyons, Colorado. 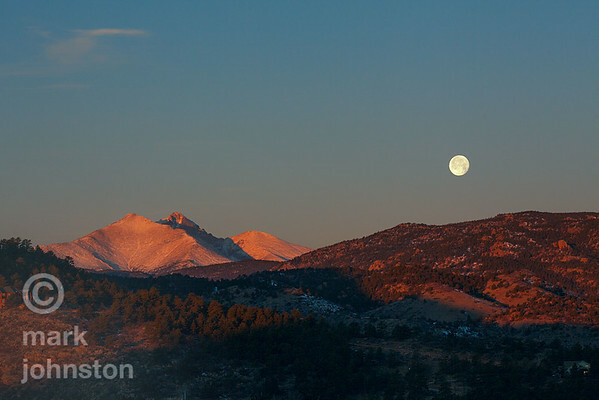 The full moon sets over the town of Lyons, Colorado as the rising sun behind us illuminates Mt. Meeker, Long's Peak [highest point in Rocky Mountain National Park, and Mt. Lady Washington. 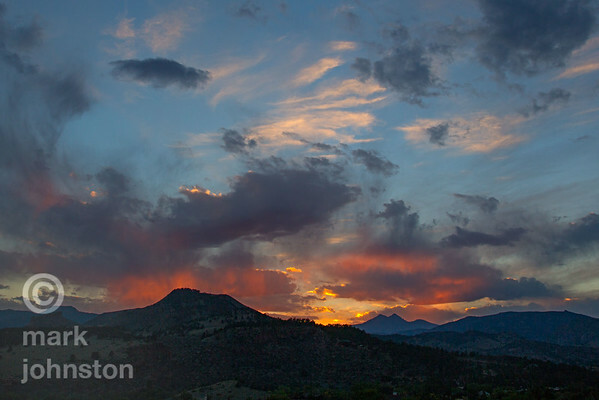 A stunning sunset over the town of Lyons, Colorado, with Mt. Meeker, Long's Peak, and Mt. Lady Washington on the horizon. 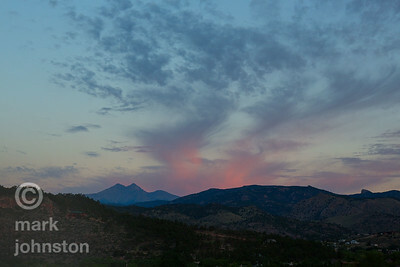 Wispy cirrus clouds are caught by the last rays of the sunset over the town of Lyons, Colorado. Mt. Meeker, Long's Peak [highest point in Rocky Mountain National Park: and Mt. Lady Washington lie on the Continental Divide at center, with Button Rock showing its nose in the distance at far right. A full harvest moon sets just before a September dawn over the town of Lyons, Colorado. At center, Mt. Meeker, Long's Peak, and Mt. Lady Washington lie along the Continental Divide in Rocky Mountain National Park. 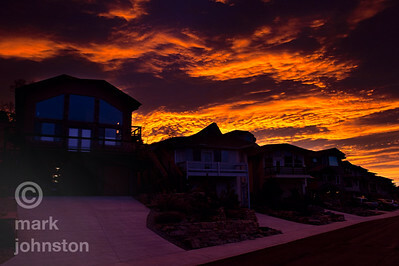 A spectacular January sunrise over homes at the eastern edge of Lyons, Colorado. 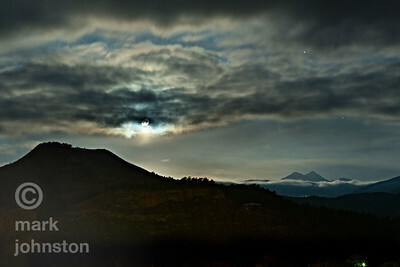 The fill moon descends below the clouds just before setting over the Rocky Mountains near Lyons, Colorado. 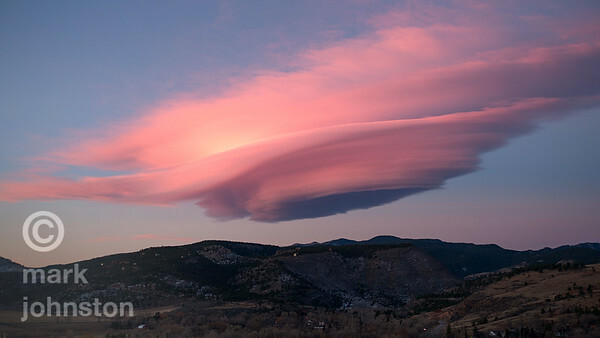 A massive lenticular cloud shaped by high winds is illuminated by the rising sun on a November morning in Lyons, Colorado. 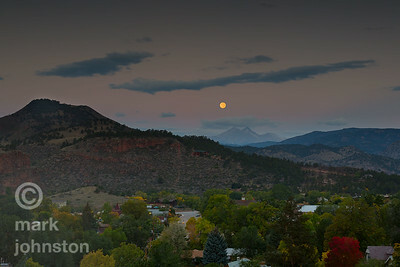 A full harvest moon sets just before a September dawn over the town of Lyons, Colorado. At center, Mt. Meeker, Long's Peak, and Mt. Lady Washington lie along the Continental Divide in Rocky Mountain National Park.